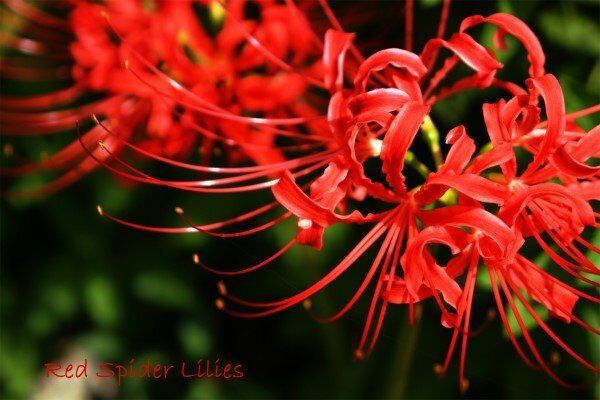 An elegant-looking plant, Red Spider Lily adds a sizzling burst of color to your home. This is a relative of the amaryllis and is also easy to grow. Strap-like leaves follow the flowers and will stay green through the winter. Allow the leaves to die back naturally before cutting them off. Don't pull them because it can damage the bulbs. Pot up the bulbs as soon as they are purchased. These are warm-natured plants that don't need to be chilled. They'll bloom when they're ready. Don't over-pot. Like the amaryllis, Lycoris radiata likes to be in a small pot and blooms best this way. This is a long-lived perennial and will provide years of beautiful flowers. This lily tends to bloom best after a hot, dry summer followed by a wet season...just like its native habitat. In fact, it gets another common name, Hurricane Lily, from the fact that it blooms during the stormy season in Asia. Wondering whether to repot? This spider lily doesn't like to be disturbed, so divide bulbs only when it gets crowded in its pot. Water: Water thoroughly while plant is growing and blooming. Use a pot with a drainage hole and empty drainage tray because these bulbs may rot if kept wet. Gradually decrease water after blooming, maintaining barely moist soil in spring and summer. Humidity: Relative humidity of 40-50%. Humidity drops drastically with the AC or furnace running. It's a good idea to use a humidity gauge and discover ways to raise the humidity for your house plants. Fertilizer: Feed every 2 weeks spring to fall with a balanced liquid fertilizer diluted by half. Propagation: Division of bulbs. 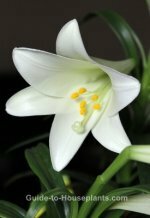 Like all bulbs in the lily family, these are poisonous, so keep them away from children and pets.